RAPPID-Z95 perimeter security system is an extremely sophisticated perimeter system which has been developed exclusively for Hansett.The system can be installed within a few hours, and is used for locations where the need for security is immediate and time for installation is short. The recent applications include the perimeter of parked aircraft,a luxury yacht in a marina and the perimeter of a bonded warehouse. 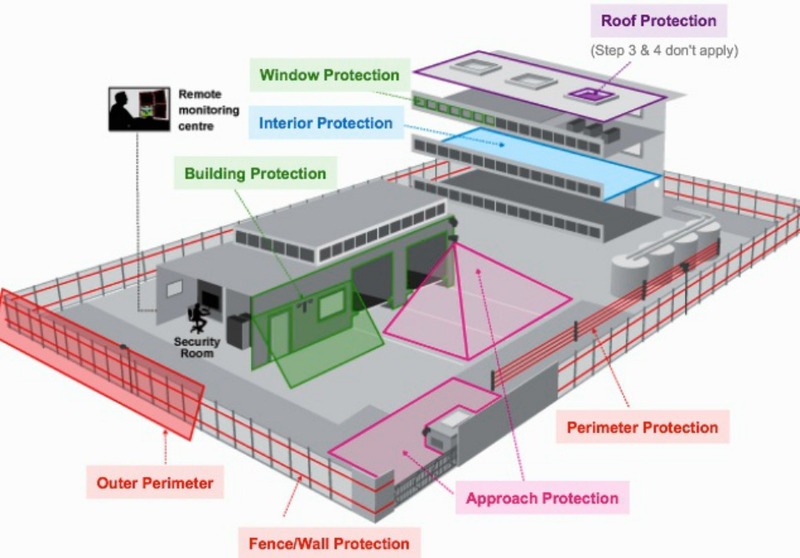 The level of protection afforded to any given building or area is normally determined by the level of risk from intrusion or other criminal activity, and ideally will comprise of several different but complimentary ‘layers’ of protection. In this respect Perimeter Protection, in its various forms, is the ideal 1st level of protection providing both an early warning of attempted intrusion as well as deterring / delaying entry of intruders. Perimeter Protection is applied to the boundary of the property, be it the external fabric of the building or the boundary fence line in open or border areas. Most situations would benefit from incorporating a Hansett Perimeter Protection System, in addition to any other security measures involved but for high risk and sensitive areas such as airports, military establishments, international borders, power stations, governmental establishments, nuclear power plants, oil & gas refineries, research establishments, embassies, residential establishments of individuals at risk from kidnap or assassination, banks, industrial plants etc, the installation of adequate perimeter security is vital. In addition Perimeter Security can be applied to areas posing a safety risk to unauthorized persons such as water treatment plants, building sites, firing ranges, mining areas etc. and in such cases Perimeter Protection can be used to provide an early warning of intrusion or trespass and to instigate an alarm or audible safety message warning and a single to be sent to the Alarming Receiving Centre or a mobile phone. Hansett can advise, design, supply and install suitable Perimeter Protection and border Security Systems worldwide.